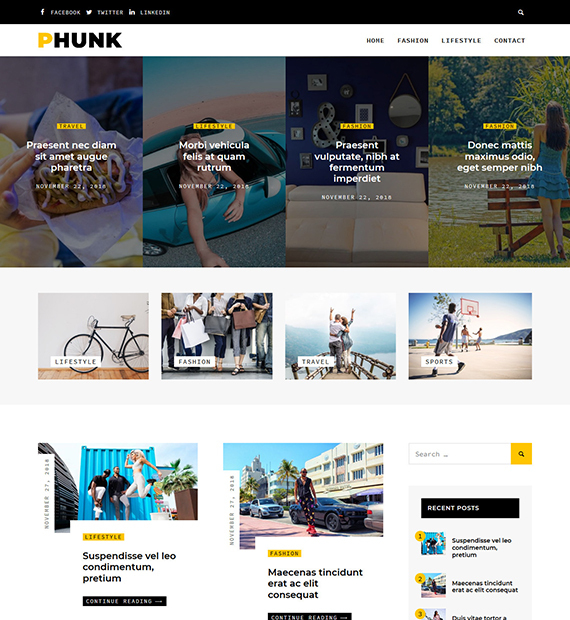 The Phunk WordPress theme is a great asset for bloggers trying to revamp their website. Phunk’s modern design will make your website stand out and the many customization options will help you tweak the design to perfectly match your vision. Some of the most important features include a header carousel, multiple layout options, a widgetized footer and of course, the fast loading time.